When it comes to commercial HVAC services, G&M technicians put a priority on accountability, professionalism, and quality service. Our range of commercial services includes installations, repairs, replacement, and overall system maintenance. When your cooling or heating unit stops working, you need a solution as soon as possible. Commercial HVAC problems are extremely time sensitive because they affect your entire business. Losing revenue and compromising productivity are serious threats to business owners. The longer your heating or cooling system is in disrepair, the worse the issue becomes. Commercial HVAC problems need long-term solutions that provide reliable results, not a temporary fix. That’s part of what sets G&M apart in the Raleigh HVAC industry. 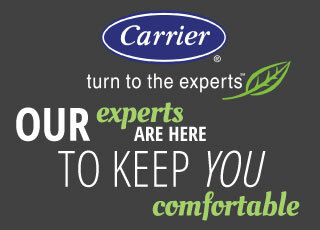 Our technicians are dedicated to dependable heating and cooling solutions and have years of combined experience to speak for them. • Preventative Maintenance. This is an important investment for business owners to consider. Regular maintenance checks can minimize and eliminate emergency repairs. Commercial HVAC systems need regular checkups to keep them in the best shape possible. G&M Service technicians can catch potential problems before they escalate. •	Emergency Response. 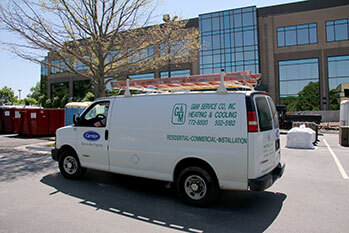 G&M provides 24-hour emergency response so that your business continues to thrive. No matter when the problem strikes, we will be there with a solution. •	Honest Repairs. When you do have a problem on your hands, trust our experts to provide fair assessment. G&M will walk you through the process of solving whatever issue is threatening your commercial HVAC system without unnecessary fees or inflated prices. •	Energy Analysis. Is your business spending too much on monthly energy bills? Our qualified technicians can assess your commercial system to see if it is operating up to its peak efficiency. •	Quality Customer Service. Our technicians put your problems first. Our experience and professionalism have made us a trusted resource for businesses in Raleigh. For more information, get in touch with a G&M expert today about commercial HVAC services. Call us today at 919-772-8820.